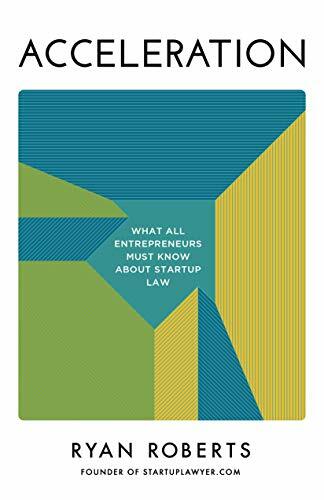 For anyone interested in corporate and securities law as it relates to startup companies, I would recommend "Acceleration: What All Entrepreneurs Must Know About Startup Law," a new book by Ryan Roberts. Ryan is a longtime friend of mine and an outstanding corporate lawyer. In fact, his blog, www.startuplawyer.com, was one of the inspirations for this blog. Thanks to Fort Worth Inc. magazine for including me in their list of Top Attorneys for 2018 (published in their Jan/Feb 2019 issue). I was included in their "annual listing of the best lawyers in town" in the Corporate Finance/Mergers & Acquisitions category. Kudos to the SEC for adopting amendments to update and simplify some of its disclosure requirements that had become "redundant, duplicative, overlapping, outdated, or superseded." It's unclear if that description of the need for amendments was intended as a joke by the SEC staff or was just a very comprehensive description of the requirements being amended. Regardless, it reminded me of the episode of "Cheers" where Diane expressed concern to Frasier that Frasier had too often voiced suspicions that Sam was trying to woo Diane back. Frasier objects, exclaiming: "Oh, now you're saying that I'm redundant, that I repeat myself, that I say things over and over!" The amendments, which become effective November 5, 2018, amend numerous disclosure requirements previous required by SEC rules and regulations, including those in Regulation S-K, Regulation S-X, Form S-1, Form S-3, Form 10-K, among many others. "We file reports with the Securities and Exchange Commission ("SEC"). These reports include our Annual Reports on Form 10-K, Quarterly Reports on Form 10-Q, Current Reports on Form 8-K and any amendments to these filings. The public may read any of these filings at the SEC's Public Reference Room at 100 F Street, NE, Washington, DC 20549 on official business days during the hours of 10 a.m. and 3 p.m."
Well, no more. The SEC has removed that disclosure requirement. It always brought a smile to my face to imagine a grumpy old man, perhaps wearing a mustache, a bow tie, and a three piece suit, taking a bus to the SEC's office building in Washington D.C. and pounding on the SEC's front door with the end of his cane demanding access to their Public Reference Room so that he could comb through his favorite company's 10-Ks and 10-Qs, only to be kicked out at 3:00 p.m., at which point he would shuffle back to the bus stop. Maybe he'd take a detour for some taffy or a cold sarsaparilla on his way home. How can this gentleman afford to be a direct investor in the US equity markets but he can't pay for a dial-up modem to access the SEC's EDGAR database online? If you are interested in forming a corporate vehicle for “doing good,” you may have considered forming a for-profit corporation, a nonprofit corporation, a public benefit corporation, or a social purpose corporation. But which corporate vehicle is right for you and your cause(s) in Texas? I’m going to compare and contrast these corporate forms for you. A for-profit corporation is exactly what it sounds like – it’s in business to make a profit for its shareholders. Thanks to the magic of the "invisible hand” of capitalism, virtually every successful for-profit corporation will end up doing a lot of good things for its customers, vendors, employees, and other stakeholders. But ultimately the board of directors of a for-profit corporations owes fiduciary duties to seek to maximize profits for its shareholders. That’s true even if the board faces a choice that may be right for its shareholders, but may not be in the best interests of the community, the world, or other stakeholders of the corporation. So if you want to earn a profit for yourself and impact the world in a positive way by providing great products or services, but with no obligation (or opportunity) to consider stakeholders other than the corporation’s shareholders when making business decisions, the for-profit corporation is probably right for you. For-profit corporations are governed by Chapter 22 of the Texas Business Organizations Code (TBOC). Being a “nonprofit” corporation does not mean that the corporation may not earn a profit - it just means that all profits earned by the corporation must ultimately flow to a “good cause” and not flow to the benefit of any individual or for-profit corporation. Nonprofit corporations are governed by Chapter 22 of the TBOC. Section 22.01(5) of the TBOC defines a nonprofit corporation as “a corporation no part of the income of which is distributable to a member, director, or officer of the corporation, except as provided in Section 22.054.” Section 22.054 of the TBOC permits non-profit corporations to (1) pay reasonable compensation for services provided, (2) confer benefits to its members in conformity with the corporation’s purpose, (3) make distributions to its members upon winding up and termination as otherwise permitted by Chapter 22 of the TBOC, and (4) make distributions of its income to 501(c)(3) organizations under certain circumstances. So if you just want to “do good” and don’t care about earning any profits for yourself, a nonprofit corporation might be a great option for you. But if you want to personally share in any of the profits of the corporation as its founder and owner while helping society or the public at the same time, then you might want to consider another type of corporation. Also, because non-profit corporations may not distribute profits to its members, they often have a more difficult time raising capital – what venture capitalist wants to invest in a corporation with a 0% chance of earning a profit?! So if you want to attractive investors (not just donations) to your project, the non-profit corporation will not work for you. A new Section 3.007(d) was added to the TBOC, which permits a for-profit corporation to elect to have a social purpose in addition to its for-profit purpose. That Section also permits a for-profit corporation to include a provision in its certificate of formation requiring the corporation’s board of directors and its officers to consider any social purpose of the corporation in discharging their duties. And new Sections 21.401(c) and (d) were added to the TBOC to explicitly grant the directors and officers of a social purpose corporation the right to consider any social purposes specified in the corporation’s certificate of formation in discharging their duties to the corporation. As you can see, the social purpose corporation grants the for-profit corporation and its management the right, but not necessarily the obligation, to pursue social purposes while also pursuing a profit for the corporation’s shareholders. In 2017, the Texas legislature adopted the concept of the public benefit corporation, which is kind of a social purpose corporation on steroids. Pubic benefit corporations are governed by a newly created Subchapter S of Chapter 21 (For-Profit Corporations) of the TBOC. The name of a public benefit corporation may include the words “public benefit corporation,” “P.B.C.,” or “PBC." Otherwise, the corporation must notify any potential shareholder of its public benefit corporation status before issuing any shares of stock. The public benefit corporation provisions of the TBOC also include many provisions that corporation’s might view as onerous. For example, two-thirds of the corporation’s shareholders must approve (1) a merger with a corporation that is not a public benefit corporation, or (2) an amendment to the corporation’s certificate of formation to remove its status as a public benefit corporation. Also, at least every other year, the public benefit corporation must provide its shareholders a statement which must include (A) the corporation’s objectives in promoting the public benefit, (B) standards to measure the corporation’s progress toward such public benefit, (C) objective factual information based on such standards, and (D) an assessment of the corporation’s success in meeting its objectives. The public benefit corporation really goes all in on the concept of benefiting the public. Section 21.953 of the TBOC requires the public benefit corporation’s board of directors to manage the corporation “in a manner that balances: (1) the shareholders’ pecuniary interests; (2) the best interests of those persons materially affected by the corporation’ s conduct; and (3) the public benefit or benefits specified in the corporation’s certificate of formation.” That’s quite a balancing act for any board. While any of these types of corporations may be right for you or your particular situation, I would note that a social purpose corporation (i.e., a for-profit corporation with a social purpose) would seem to give the corporation the maximum amount of freedom achieve both profit and social purposes without many of the requirements and restrictions applicable to the public benefit corporation. Life sciences and bio-tech companies continue to have a major impact the venture capital landscape. The National Venture Capital Association (NVCA) provides model legal forms for venture capital investors and entrepreneurs seeking venture capital. The NVCA model forms are the starting point for many venture capital transactions. In a nod to the growing important of the life sciences industry, the NVCA model forms have recently been updated to become more life-sciences friendly. As the NVCA's press release from February noted: "For the first time, the documents now incorporate drafting options that are specific to the unique nature of life science transactions." Noted that life sciences transactions often include "Milestone Closings" with tranched investments in which investors are expected to make additional contributions to the company (such as upon FDA approval). Added potential penalty provisions applicable to investors who fail to fund Milestone Closings. Noted that the "Use of Proceeds" section may be more specific for life sciences companies and "may include 'discovery, research and pre-clinical development' of a particular therapeutic." Who the Heck Signs Our Stock Certificates? One of the first things a new corporation must do is issue stock certificates to its founding stockholders (assuming the corporation has not elected to issue uncertificated shares, of course). But who should sign the stock certificates on behalf of the corporation? To answer that question, the corporation should look first to its Bylaws. 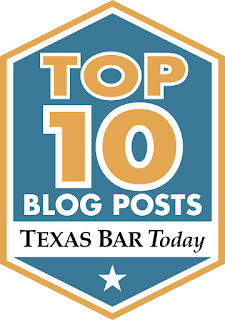 For example, I often use a form of Bylaws for Texas corporations which provide that the share certificates should be signed by "the President or a vice president and the Secretary or an assistant secretary." But what do the underlying corporate statutes provide? The answer is not as easy to find as you might expect. There is nothing in Title 2 (Corporations) of the Texas Business Organizations Code (TBOC) addressing the issue. Instead, one must look to Title 1 (General Provisions). Specifically, Section 3.203 of the TBOC provides that a Texas corporation's stock certificates must be signed by "[t]he managerial official or officials of [the corporation] authorized by the [certificate of formation and bylaws]." Section 1.002(52) of the TBOC defines "managerial official" as an officer or a governing person. Section 1.002(37) defines "governing person" as a person serving as part of the "governing authority." Section 1.002(35)(A) defines the "governing authority" of a corporation as its board of directors. Accordingly, a Texas corporation's stock certificate may be signed by any of the corporation's officer(s) or director(s) as authorized in the corporation's certificate of formation and bylaws. I have never seen a certificate of formation which addressed this issue, though it is a hypothetical possibility. So as a practical matter, that means the issue is governed by the Texas corporation's Bylaws. Section 158 of the Delaware General Corporation Law is much easier to navigate. It provides that certificates representing shares of stock in a Delaware corporation must be signed by "2 authorized officers of the corporation."